Whether you work with pixels, ad budgets, news or a writer and editor’s electronic pen: TCC Monthly Programs provide networking, professional development, and opportunity to share information in a friendly, informal atmosphere. We welcome any and all professional communicators to attend our meetings. A new bonus for members. Get a new recruit to name you as the source of their inspiration to join and spend 10 bucks at Starbucks or Dunkin' Donuts on us! Refer them to our membership page to enroll. 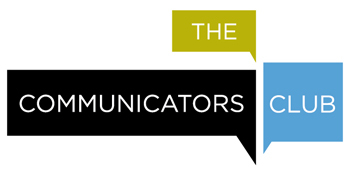 provides passionate, professional communicators a way to exchange resources and creativity. Be better, be smarter at what you do through education and collaboration. Join now! Get the full benefit of our great slate of informative programs. If you are unable to attend a meeting after registering, please send your cancellation information to registrationhelp@communicatorsclub.org. Cancellations must be received no later than 5pm on the Thursday immediately preceding the meeting to be eligible for a credit or refund. Payment will not be credited or refunded for cancellations after this deadline. If you indicated you would be paying at the door, you will be billed for the meeting unless your cancellation is received by the above deadline.